The average business loses around 20% of its customers annually simply by not attending to their customers, but according to research from Harvard Business School, increased customer retention rates by 5% increases profits by 25% to 95%. This is no easy task, as large markets and more competitors often make customers decide quickly from other brands. Here’s a rundown for a few customer retention tactics that your brand can implement today. According to Neil Patel, consumers can become “Brand addicts” for companies with incredibly strong branding. Research from the Corporate Executive Board that included 7,000 consumers from across the U.S. found that of those consumers who said they had a strong relationship with a brand, 64% cited shared values as the primary reason. When a company has a strong branding philosophy, you can mix in an appropriate marketing strategy that encompasses that ideal, and create content that reinforces those beliefs to give customers the opportunity to participate every day. 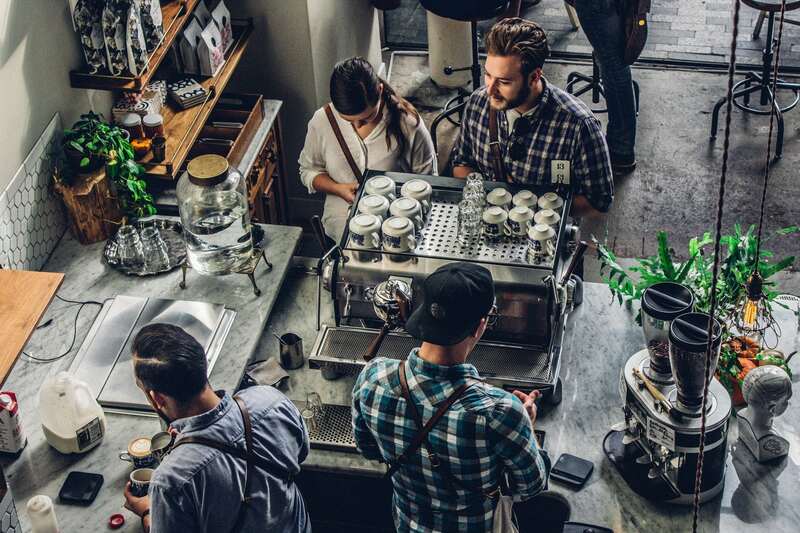 Lifestyle brands such as Vans or WeWork keep loyal customers wanting not just their products, but more involved with the company. For retention to stick, give consumers a reason to stay. Customer service…an obvious, yet essential criteria for successful businesses. You need special attention to your customer service department if you want to increase your customer retentions rates. From the CEO all the way down to the bottom of the organizational chain, everyone needs to know how to treat customers. Identifying your customers problems and needs on a personal level and providing the right mode of communication are the key factors for great customer service. Companies that deploy loyalty and VIP programs allow their customers to feel special when associating themselves with the business. You can reward your most profitable customers to increase their loyalty, through information gathered in CRM software that reveals the areas responsible for the most revenue. Identifying these areas can also help you develop strategies for cross-selling. A VIP program takes loyalty points to the next level, by elevating the status of your customers, giving them exclusive offers in addition to increasing rewards as they continue to do business with you. The more they continue to use your product or service, the more rewards they receive. Sometimes, the best advertising isn’t your own. When your marketing strategies connect customers who love your brand, they may share their optimism about your company. In fact, customers are more likely to trust opinions from family, friends, and other consumers more than branded content and ads. Testimonials are an essential form of positive social proof that shows prospective customers the value of your products or services. One way to take advantage of the social proof behind your company is to incentivize customer referrals. Referral programs allow you to get your current customers to bring in new customers, and be rewarded for it. For example, customers who refer their friends to a hotel can get a $20 credit after the person they referred books a room. You can use the referral structure behind testimonials and other forms of social proof to reward your customers for their efforts and give them a reason to continue making purchases in the future. Personalization is essential to marketing campaigns. Without it, your business falls victim to treating every customer the same. According to a study from Infosys, 74% of customers feel frustrated when website content is not personalized. You can separate your target audience based on purchasing history, location, and site activity, through various segmentation methods to personalize your interactions with your customers. Grouping this way is beneficial to satisfying customer needs. Once you have identified the appropriate segmentation area, your personalization strategy must be consistent and precise. Every touchpoint of communication should reflect your company’s willingness to know your customers and provide them with the best solution to their needs. You can use customization in emails, live chat sessions, video tutorials, or even the language on your web pages. When customers hear certain words on shopping sites for example, such as free or new, they may be encouraged to buy more than others. Customer feedback is important when you want to understand what causes customers to stay with your business. Research shows 68% of consumers leave a business because they don’t feel the brand is valuing them. You can use surveys and interviews to look into the pain points, problems, and concerns with your customers. Doing so will result in more revenue for your business, as it shows customers you care about them and can help you make your business better. Through most of these campaign insights, you’ll discover areas where your brand may need some improvement. According to serial entrepreneur David Skok, sales are often more effective when you have an existing relationship with a customer, and when you’ve already provided value. You never want to leave your customer hanging, especially on important details about your product or service. As value is subjective and differs from person to person, provide resources to help your customers recognize what makes your brand click with them. From webinars to ebooks, you can inform your target audience on why your brand best suits their needs. Making your products and services as accessible as possible, particularly for mobile devices, can help your business grow for a more tech savvy-generation, and keep customers coming back for more. Whether through an app or other traditional methods, identify the desires and behaviors of your customers, and develop appropriate tools and systems to empower them. Chat with the Workspace Digital team today to discover the right customer retention move for you!